We spotted a minke whale on our way to stopping near another, larger whale nearby. As we approached, we noticed the whale was doing some open mouth feeding, and I was really hoping we would get to see more of that up close. We stopped in the area near where the whale, a humpback, went down for a dive. In just a few minutes, the gulls that had been sitting on the surface of the water suddenly took flight and clustered over one area over the water- and underneath there was a huge bubble cloud! Sure enough, the humpback (Shuffleboard) lunged to the surface with an open mouth. Surface feeding is so impressive to watch, and we got some great looks at the expanded ventral pleats on the whale’s stomach. You can see the two blowholes on Shuffleboard’s head and the ventral pleats expanded in front. 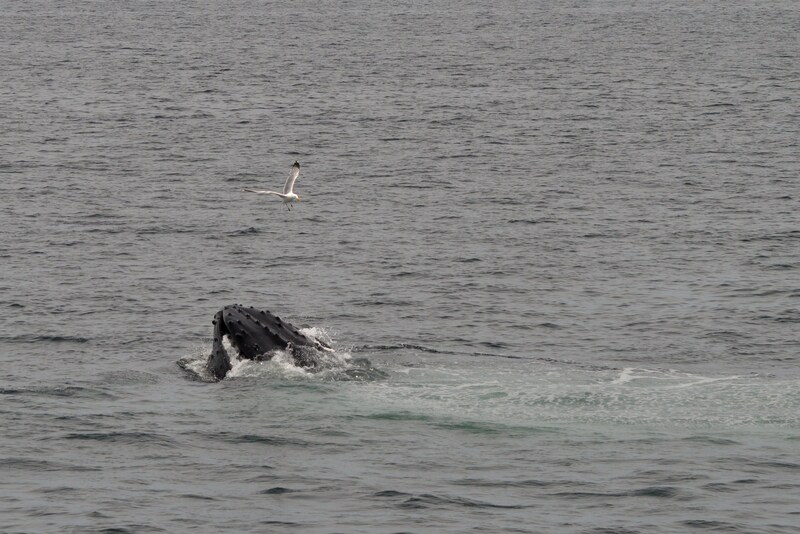 Here is another photo of Shuffleboard feeding- notice the bubbles behind the whale, and the gull swooping in for a meal! 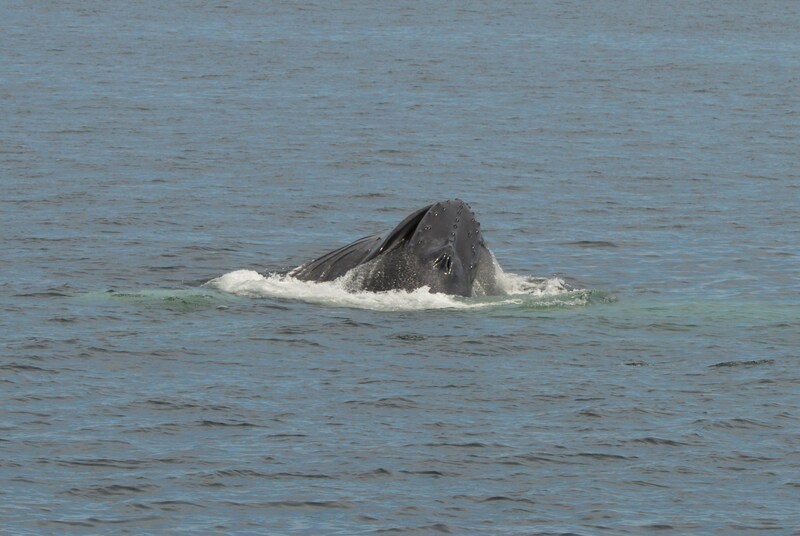 We watched another humpback (Satula) nearby, also doing some feeding. 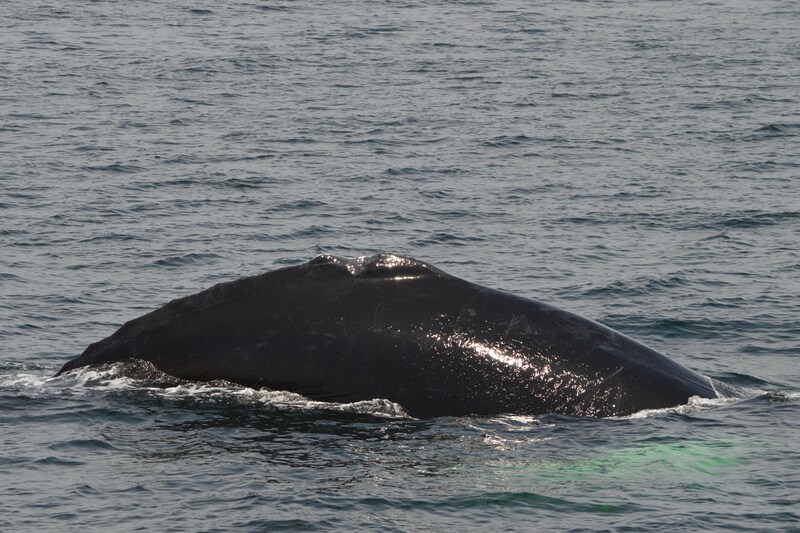 This whale is an exception to the typical guideline of naming a humpback after a mark on its fluke. Satula is another word for saddle, and this whale is named for the mark on its dorsal fin resembling a saddle. Satula gets his name from the dorsal fin that looks similar to a saddle. I always encourage passengers to always keep their eyes open, as we never know what we will see. 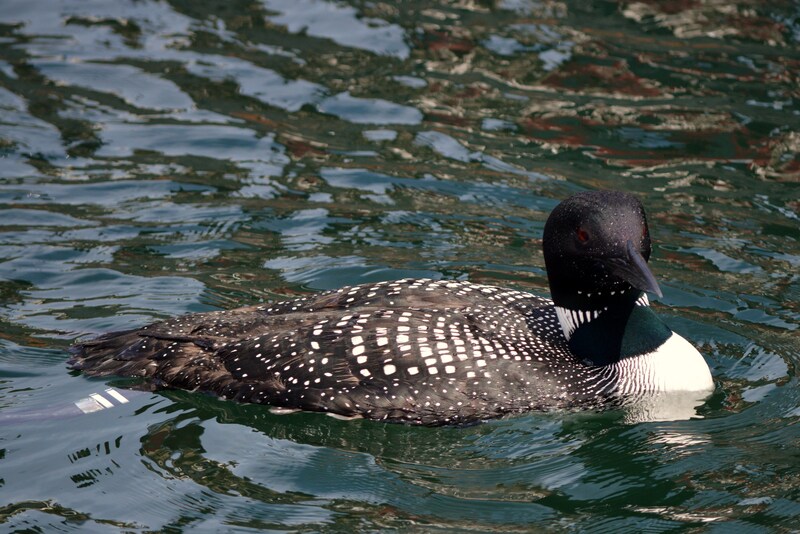 This was absolutely true this afternoon- after the trip was over I was standing on the dock saying goodbye to passengers and turned around and saw this beautiful common loon right off our barge! A very neat surprise to end a great day.